Hidden behind the hoarding around our building the new Day Nursery and Kidz Church is starting to take place. 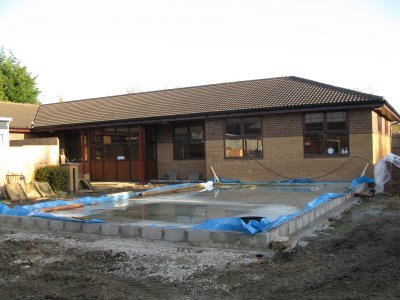 The foundation slab for the extension is down, internal walls are beginning to be framed out and the new external walls will start to rise next week. Check out some more photos at the T2B Blog.